Sea it like never before! 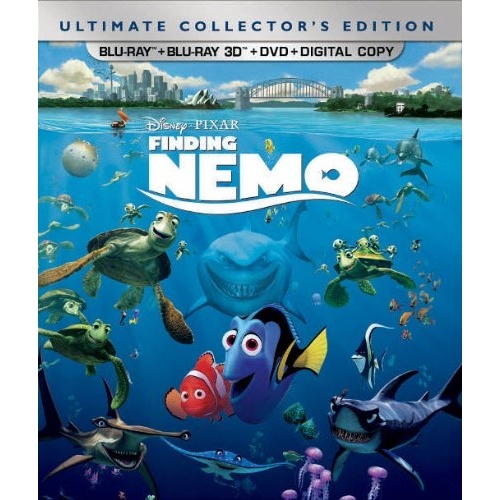 For the first time ever, through the magic of Blu-ray, fully immerse yourself in the stunning underwater world of Disney/Pixar's Finding Nemo! From the creators of Toy Story and Monsters, Inc., this critically acclaimed and heartwarming tale splashes off the screen with brilliant digital picture, high definition sound and breathtaking interactive 3D bonus features that transport you beyond your imagination. 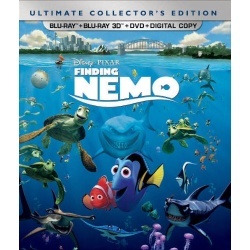 In the depths of the Great Barrier Reef, Marlin (Albert Brooks), an overly protective clownfish, embarks on a daring rescue mission when his beloved son, Nemo, gets scooped up by a diver. With his unforgettable friend Dory (Ellen DeGeneres) by his side, Marlin encounters an ocean full of memorable comedic characters on his momentous journey to find Nemo. Bring home the humor and heartfelt emotion of the epic adventure that captured the Academy Award for "Best Animated Feature Film" (2003) - now more awesome than ever on Disney Blu-ray 3D! It's magic in a new dimension!